It wasn’t just an ordinary visit. I walked into the long-term care facility and made my way to the memory care unit. I paused in front of the locked door, pulled a crumpled scrap of paper out of my pocket and tapped the entry code into the keypad. As I walked to my mother’s room, her new home, I felt sad, confused and guilty. How was I going to connect with my mom in this strange new environment? Eleanor Feldman Barbera, PhD, author of The Savvy Resident’s Guide, has 16 years of experience as a psychologist in long-term care and understands the emotions and confusions family or friends might feel when visiting in a long-term care facility. Here are her tips for having a meaningful connection. Help the room feel like home by bringing photos and bedspreads, creating an environment that feels more comfortable and familiar to your relative and more pleasant for you to visit. 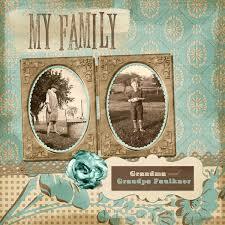 Labeling the photos with names (such as “Oldest son, Sam”) provides reminders in your absence and clues for the staff that are with your loved one daily. Turn off the television or radio and close the door during your time together. When the room is quiet and free of distractions, it’s easier for someone with dementia (and for those with hearing loss) to focus on their visitors. Try to converse at the same height, sitting on beds or chairs rather than standing while your loved one is sitting. Bring in small folding chairs and stash them in a corner if you tend to have lots of visitors. Remember, though, that some people react better to hosting just a couple of guests at a time rather than a possibly loud and confusing crowd. 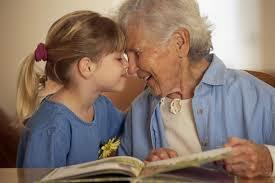 Use memory aides such as photos and magazines of beloved hobbies as conversation starters. Creating a memory book together can be a great way to spend some time, especially if the focus is on enjoying the process and the conversation that comes from it rather than on completing the memory book in a set amount of time. Go with the flow of the conversation, allowing your loved one to talk about what’s on their mind, rather than asking questions they used to be able to answer but no longer can, which is upsetting for everyone. For instance, replace, “Don’t you remember X?” with “Your flower garden was so lovely,” adding details that reflect your appreciation for their abilities and see what response this generates. Find pleasurable activities that don’t involve talking, if that’s beyond your loved ones’ capabilities at this point. Listen to music, hold a private stretching class, go outside and enjoy the sun and the birds. Just be, pleasantly, without expectations. Talk to staff members and to other visiting families and become part of the long-term care community. Media reports to the contrary, most long-term care homes are filled with people who are trying to do the best they can for your loved one under challenging circumstances. They can become your allies, supporters, and teammates in care. 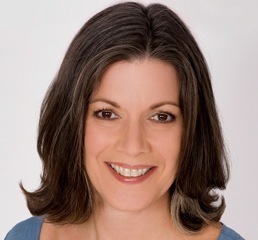 Eleanor Feldman Barbera, PhD is an accomplished speaker and elder-care coach with over 16 years of experience as a psychologist in long-term care. 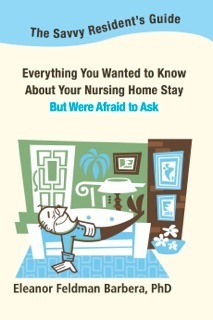 Read her book, The Savvy Resident’s Guide, for the inside scoop on how nursing homes work and visit her award-winning website, MyBetterNursingHome.com, for more tips on how to thrive in long-term care.